Who we are? Where do we come from? Where are we heading? The article has been published in good faith with the consent of the author. If anybody present in the pictures does not want to be present in this article, please let us know! Most of the airsoft players probably noticed an enigmatic abbreviation - "ASH", both through the forum and the main page of WMASG, and wondered what it means. The case is as simple as building a T-55 tank. ASH does not mean anything but Air Soft Historyczny (ang. 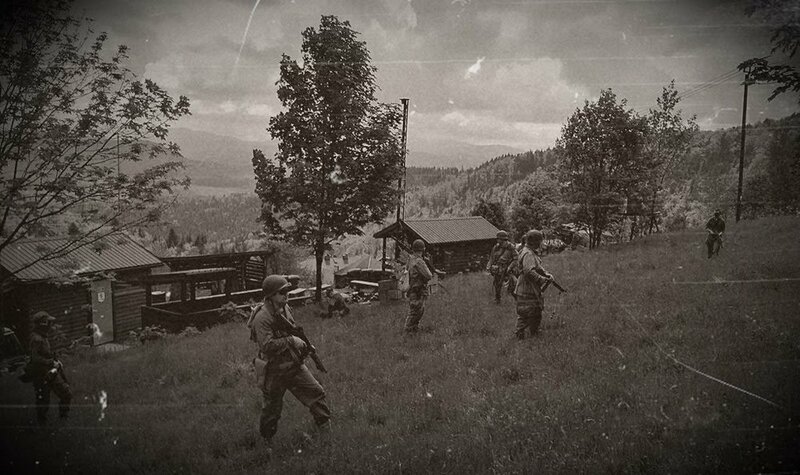 historical themed airsoft). So what is this phenomenon? The shortest definition of ASH is that it is airsoft with the use of uniforms, equipment and historical or historically stylized replicas. At the same time, it should be noted that "the end of history", a term coined by Francis Fukuyama, in the case of ASH came with the end of the Vietnam War. Therefore, ASH is everything until the evacuation of Saigon. Everything beyond that is modern times. It is as simple as that. Let's move on to the first question. ASH should not be confused with reenactment. Seriously. Historical reconstruction aims to match the figures of soldiers and civilians from a given period with all the details, such as buttons, badges, the type of material used, badges on caps/berets, etc. In ASH this approach is desirable and many reenactors are part of the community, but the basis of this "H" is the stylization, that is, the selection of clothes and accessories, so that the silhouette roughly resembles a soldier from the period in which the game is set. Therefore, the people who are fans of history and airsoft, but do not want to spend millions of coins on some small "insignificant" items, are the backbone of the ASH community. Stylization, in contrast to reenactment, allows the use of elements that do not suit a given theater, and even later and contemporary ones. Do you have Polish Army issue boots wz. 919/MON? It's not a problem. Do you have a British sweater? Cool! You have only a liner from the American M1 helmet and a Polish coat? Welcome on board! All this will do just fine in case of stylization. This is all about the "general appearance" and getting into the atmosphere that is the most important in these games. Baćka komisar makes the atmosphere and raises the morale of the Red Army by playing "Katyusha" through the megaphone. "Kluż-defence of Transilvania" game (The Last Campaign of the Kingdom of Hungary series of games) - 29 September 2018, Battle Arena, Piątek near Łódź. Although, as I explained above, ASH theoretically covers the period from the Stone Age to the end of the Vietnam War, in practice the majority of games are embedded in the reality of World War II and Vietnam. Why so? Well, it probably results mainly from the fact that these are the most "media covered" conflicts, fixed in popular culture through thousands of books, series, (especially) films, computer games, etc. You must admit that in comparison with WW2 or "the Nam", World War I or, for example, the conflict in Korea pale in comparison. The availability of sources of knowledge and inspiration for stylizations based on the appearance of soldiers from a given era is also not without impact. Here we come to the favorite question of fashion bloggers and weekend commandos, that is what to put on? Many airsoft players confuse ASH with reenactment and imagine that since they are historical games, the webbing and uniforms have to cost a lot. Well, not necessary! The entry threshold depends on the level of involvement of a given player and what style and silhouette he wants to complete. Of course, you can spend a lot on a replica and a fully equipped American M43 uniform, Corcoran shoes, an original M1 helmet and a replica of the M1 Garand rifle by a reputable manufacturer, but you can also wear an olive shirt and trousers from Austrian surplus, put on Polish Army issue boots and old Polish wz.67 helmet with a net on it and arm yourself with an M4 masked with rags and jute. And no one from the community will say a bad word, because the majority of them remember how it all began. Imperial stormtroopers with typical English humor comment their stylizations. "Tobruk 1941" game (Desert Rats vs. Afrika Korps series) - 7 June 2014, Pałczew near Łódź. Despite the seemingly relevant topic of World War II, the community of ASH enthusiasts in Poland at the moment is like the army of Finland during the Winter War - they are few yet are very active, determined, well organized and have elegant gray uniforms. Nevertheless, travesty of Mark Twain's words can be said that the rumors of ASH's death are largely exaggerated. The majority of the community knows each other personally and also meet each other beyond the games, which translates well into the high level of personal interaction between players on those games. There are 6-7 historical games held annually in Poland, in which airsoft players from almost the whole country participate. Larger groups of ASH enthusiasts are located around Warsaw, Łódź and Poznań, but also around Koszalin, Krakow and Silesia. Once thriving, the Pomeranian and Subcarpathian communities, that still send their representatives to games, have went into organizational retirement and did not made any games in a long time, although the 'Neretwa 43" organized almost six years ago near Gdynia, established an frequency record for a historical event of 83 people, taking into in all factions. It remains unbeaten to this day. On top of that it had a very high level of stylization. The central meeting place for the ASH community in the country is, apart from airsoft battles, the historical sub-forum of WMASG. This is where you'll find out where and when the next event is organized, how to stylize at a low cost and exchange gossip about who has recently bought or is looking for something. Clint Eastwood, Donald Sutherland and Telly Savalas liberate the Croatian riviera. 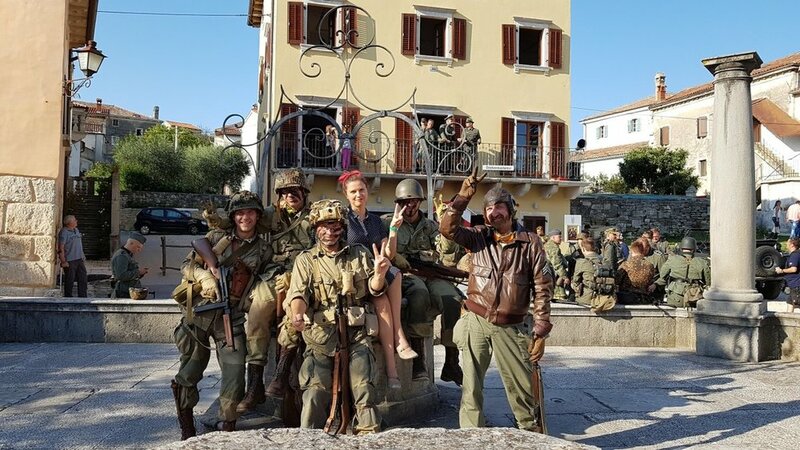 "Kelly's Heroes 2" game, 12-14 October 2018, Viziniada, Croatia. Like any environment, the group of ASH fans is also evolving. The direction in which games are going is, however, clearly visible and with small steps they are heading towards more realism of a real battlefield. The use of mines (making loud bangs, but also dummy ones), sappers (they often have use metal detectors), paramedics (who, apart from simple bandaging, have a lot of additional activities to do) or communications specialists, are already permanent elements of ASH games. Events that are organized in Poland probably represent every possible type of airsoft game. Starting from dynamic shooters in which it is all about having fun, through physically and psychologically difficult quasi-Milsim, focused primarily on performing tasks and avoiding contact with the enemy (often involving very long marches or fighting at night), to games requiring players to feel the atmosphere and play a role in a game with elements of a LARP. Polish ASH has already seen a lot - vast assaults of the infantry waves, 15 kilometer long marches in 39 degrees Celsius heat and 92% air humidity, as well as the attack on the Fuhrer in a German missile base, an experiment that created Captain America and an alien corpse. In short, it's like a sale at Harrods - something nice for everyone. What is planned? Obviously, continuation of operations on the Western Front (the Great Battles of the Western Front series), Italian (Operation "Husky" vol. 3) and Eastern Front (The Last Campaign of the Kingdom of Hungary series). But for quite a long time now there are have been talk about the fights in the Pacific, the Polish campaign of 1939, or maybe some other ASH LARP. Time will tell, but it will definitely happen. [TOP SECRET] Steve Rogers present at the examination of an alien corpse, Porton Down, Great Britain, 1943 r.
"The Eagle has Landed" game,16-17 June 2018, Camp Wola, Wola Wodyńska near Mińsk Mazowiecki. What do we shoot with? At the beginning I pointed out that in order to be able to describe the event as a historical one, in order to find this H in ASH, we use the equipment stylized, first and foremost, to look like the one used during World War II. A number of people that has been present at games in recent years shows that the limit does not lie in the amount of money, but the imagination and preferences of the players. This applies to both uniforms, equipment and weapons. The constantly growing offer of replica manufacturers means that the Germany no longer have to exclusively use the MP 40, and the Allies the Thomspon SMG. On ASH games, Axis uses the entire arsenal of weapons available to the "Dark Side of the Force": from the MPs, through MG 42, StG 44 to the Italian Beretta 1938. The Allies are increasingly saturating their ranks with Sten SMGs, Garands or M1 Carbines. In addition, bolt action rifles, both factory made (Mausers, Mosins), as well as custom-made replicas (Lee Enfields, Springfields) are becoming more and more popular. It is worth remembering that having a historical replica is not a sine qua non condition for participation in ASH games. Most games allow the use of contemporary replicas, properly masked, so as not to stand out from the "crowd". It is also important that in the ASH community there is no arms race that is often found in "modern warfare" community. In fact, no one "tunes up" his arsenal as there is no need. The community wants games to be pleasant and safe, where winning requires above all thinking and tactics, not high FPS and ROF. I have nothing to put on! Not true! In order to participate in an ASH game, you do not necessarily have to have a uniform that is 100% true to history. It's not a reenactment. What you should have depends on which side of the conflict you want to play and what function to take. You can be an officer, a paramedic, a communication specialist, a sapper, play as a special character (e.g. a shot down airman - we had English aviators at the "Big Ben Operation" who did not know a word in French). Like a good old RPG - choose your character. "Stakes higher than life" (read more here) and uniforms from Hugo Boss and the "super secret weapons of the Reich" resulted in the ominous charm of the "Dark Side of the Force" always attracting a large number of volunteers. The ranks of players stylized as Germans included players dressed up as the land forces, SS, paratroopers, and even Afrika Korps. Many participants of ASH events who take part in them on the German side have an almost reenactment level of uniforms, but many also use elements of uniforms of the armies of the DDR, Sweden, Switzerland, Czechoslovakian webbing, which also give a great effect. What counts is not how much you spent, but good atmosphere and good fun. And everyone has the same rights. We do not divide ourselves like the British Army in India between the better and worse ones, depending on how much you spent on your outfit. "Bizerta-Tunis 1943" game (Desert Rats vs. Afrika Korps series) - 28 April 2018, Mokry Ług near Warsaw﻿. What are the three cities we have recently captured? At Stalingrad Kalt, near Leningrad Halt, and near Moscow, Zurück. "At Moscow's Gates" game - 3 November 2016 r., Warsaw﻿. Colonel Kurt Steiner and his men near Winston Churchill's villa in Studley Constable. "The Eagle has Landed" game - 16-17 June 2018, Camp Wola, Wola Wodyńska near Mińsk Mazowiecki. The Allies do not remain indebted. Here, "Private Ryan" and "Band of Brothers" together with "Medal of Honor" did their thing and made any players respond to Uncle Sam's "I want you!" call positively, donning American uniforms of the Airborne, the Rangers or the Big Red One. 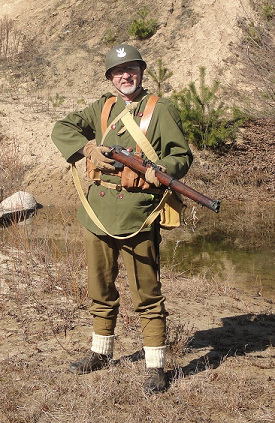 Here, too, players are wear reenactment level uniforms, but many, especially beginners, are satisfied with the Austrian olive uniform, a jeep cap and an Alice LC2 webbing or something similar. And that is good! Everyone is happy. "Monte Cassino" game - 26-28 may 2017 - Jaszczurowa near Wadowice﻿. ﻿This Sicily is very nice . Not too cool ...- "Operation Husky vol. 2" game - 31 August - 2 September 2018 r., Mieczewo near Poznan﻿. The 101st Airborne Division defends the construction site of the first McDonald's in Bastogne. "Arden 1944" game (the Great Battles of the Western Front cycle) - 8 December 2018 r., Karolew near Łódź. As World War II was not won only by the Yankees, the second large group of ASH participants on the Allied side are players defending the honor of the British Empire. Yeah ... The tea, jam and Monty Python's Flying Circus lovers are distinguished by discipline, organization and a sense of humor, because they can quit everything at 5 PM by administering a tea break. They are march singing "It's a long way to Tipperrary" and "Roll out the barrel", they appreciate regulations and drills. Everything for the sake of the atmosphere. The cost of becoming a Briton can be either high (in the case of paratroopers) or ridiculously low (commandos, army fighting in the desert). It all depends on the inventiveness of the player. The most modern model of an LMG in the British Army - the BREN-AK. 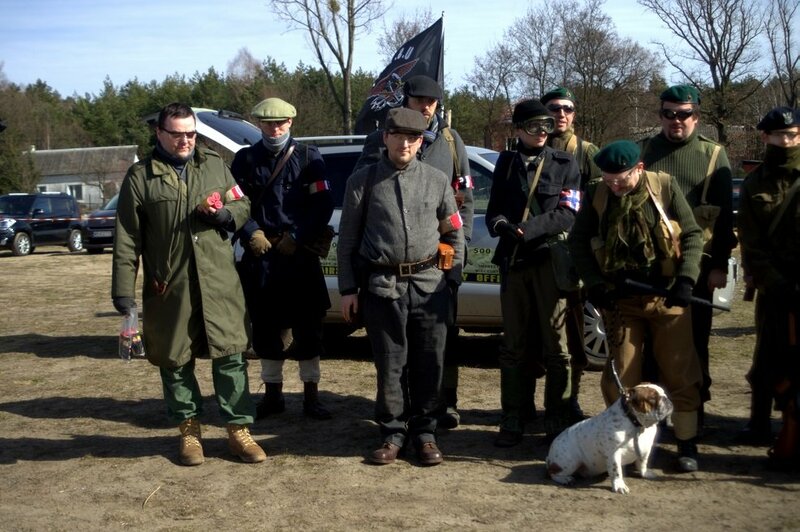 "Narwik 1940" game - 19 march 2016 r., Karolew near Łódź. British Infantry advancing on the French village. 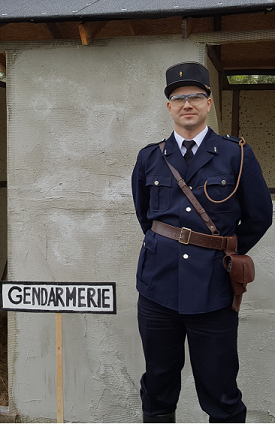 "Avranches 1944" game - 13 September 2014 r., Lubosz near Poznan. There is tea! Ice tea! And umbrellas ... the British are going deep into Sicily. "Operation Husky vol. 2" - 31 August - 2 September 2018 r., Mieczewo near Poznan. One can not forget about our comrades from the Eastern Front. Stylization for the Red Army has undergone (along with the British) the biggest evolution. Despite the fact that considering the cost, the dressing up of a Red Army soldier seems the easiest (a forage, olive pants and a shirt or a blouse and a "meshok" - Red Army backpack), now we can also see people on the reenactment level on ASH games. It should be noted that people who stylize themselves after the Red Army, are the ones most engaged in the game. Conversations and singing in Russian, assaults while shouting "URAAAA!" with red flags or punishments given by a commissar are everyday life occurances. За Родину! (For the Motherlad!) Two tank men and a sniper. 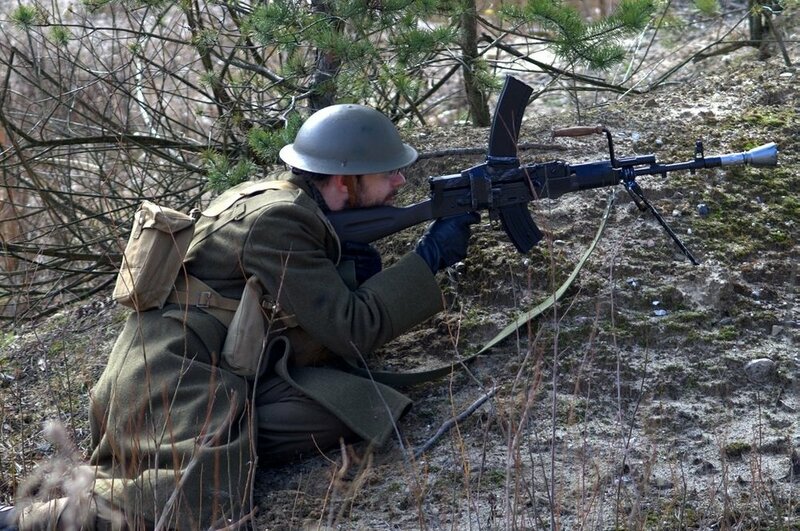 "Stalingrad 43" game - 27 February 2016 r., Battle Arena, Piątek near Łódź. And this my comrades is the hour at which we are to enter Budapest. "Spring Awakening" game - 18 March 2018 r., Otwock. Comrades! There is the future of airsoft. The past! ASH! "Kluż-defense of Transylvania" (The Last Campaign of the Kingdom of Hungary series of games) - 29 September 2018, Battle Arena, Piątek near Łódź. It is also impossible to be indifferent to the faction that is particularly interesting in ASH for beginners, namely all sorts of partisans, militia, etc. So you want to start, but you are like the proverbial girl who "would like to but is afraid"? Do not worry! Stylizing as a partisan is very easy because it includes civilian clothing a la 1940s (jackets, vests, shirts, smooth pants, hats, caps, etc.). It is the cheapest option, which gives you a lot of possibilities. It allows you to play as either the Polish Home Army, the British Home Guard, the German Volkssturm or the Yugoslav partisans. Most of the scenarios envisage the participation of such factions, just to encourage players to try ASH and see if they like it (and you definitely will like it). Members of Home Guard and agent "Needle" with agent "Thread" in Studley Constable. 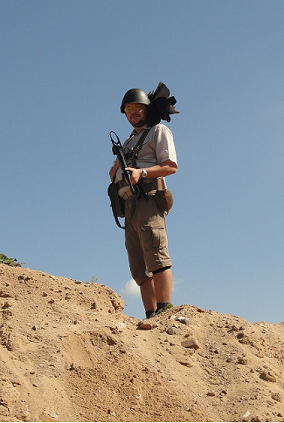 With these materials I will blow up myself faster than the Germans will ... - volunteers from Norwegian self-defense. Someone once claimed that the ASH community in Poland is a circle of mutual adoration, a fashion show, a costume party. Maybe in a sense, it's true, but in a positive one. Because, thanks to the ingenuity of the participants, during the games you can meet characters that create an amazing atmosphere. Michelle from the Resistance Movement? Here you are. Gendarme "Good moaning" Crabtree? No problem. The Fuhrer in a secret German missile base? He was there. And to add to that, Australians, Italians, Moroccan goumiers, Polish Army from 1939. The Polish Independent Highland Brigade or a Scot in a kilt. The only limit is one's imagination. Finally, I will recall the words from a German recruitment poster - Komm mit uns! ASH is a really fun variant of airsoft created by a community of enthusiasts open to new people and new adventures. You do not have to be a uber, pro, mega, tactical "Screaming Eagle", an elegant, lofty Grenadier of the Guards, or a battlefield dust covered soldier of the Wehrmacht. You can start as an ordinary partisan in clothes from a thrift shop, with your Cyma 0.28 wrapped in pieces of jute and play as well as veterans do. Do you have doubts? Questions? We are happy to answer and help you. Are you missing something for your outfit? We can lend it to you. ASH forum (in Polish): http://forum.wmasg.com/forum/246-rekonstrukcja-i-stylizacja/ (but please do register and write there, most people know English very well).